In theaters November 6, 2015. 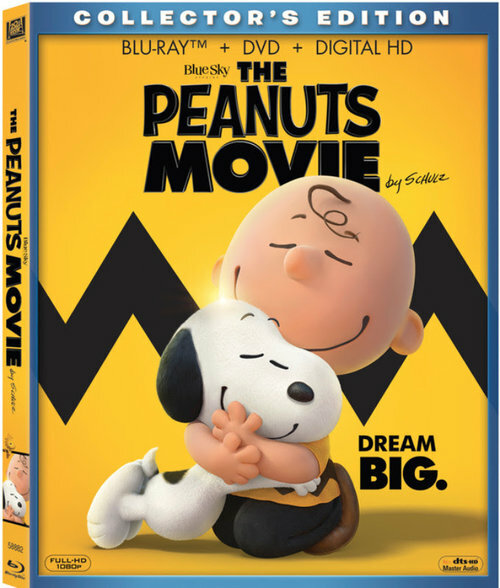 Warner Home Video announced today a remastered deluxe edition of Peanuts: Snoopy’s Reunion scheduled for release on April 7, 2009. Retail will be $19.98. The release will also include a bonus Peanuts TV special, and a Together Again: The Peanuts Voice-Cast Reunion featurette. 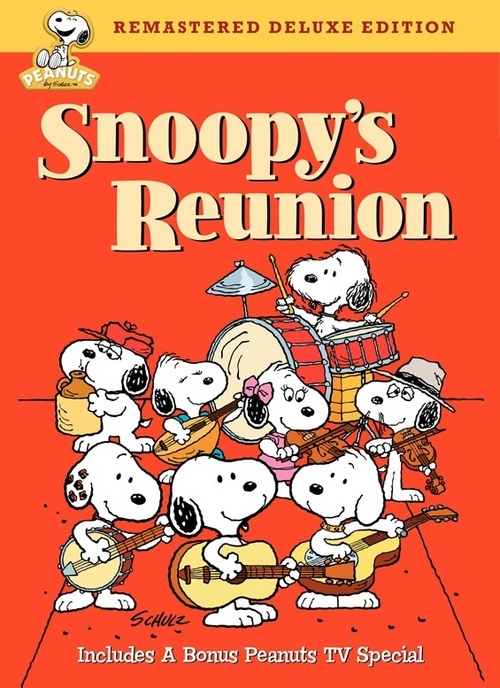 Synopsis: Snoopy is homesick for his puppyhood at the Daisy Hill Puppy Farm, so he and Charlie Brown organize a reunion of his siblings Spike, Andy, Olaf, Marbles, Belle, Molly and Rover. However, when they arrive at the puppy farm, Charlie Brown is aghast to find that urban sprawl has replaced it with a parking garage. Snoopy and his family however, calmly begin to play musical instruments they’ve each bought, thoroughly satisfied that they are together on the sidewalk in front. Charlie Brown, Snoopy and the rest of the PEANUTS gang star in three to four minute digital shorts that are based on the popular comic strip created by Charles Schulz. For a limited time, fans can download the first two episodes of PEANUTS Motion Comics for free on iTunes. In these episodes, Linus runs for class president with Charlie Brown as his running mate. Despite being far ahead in the polls, Linus and Charlie Brown eventually ruin their chances of winning by referencing a famous, yet mysterious holiday entity during a final speech. The initial episodes of PEANUTS Motion Comics are based on comic strips drawn in the year 1964. The stories are pulled from these strips and developed into three to four minute videos containing new Flash animation by the award-winning Studio B. The PEANUTS Motion Comics consist of 20 episodes bundled in pairs with each short consisting of a different theme culled from the classic comic strip. These include the Great Pumpkin, Charlie Brown’s baseball team, A Christmas story, Valentine’s Day, Charlie Brown’s first crush, Snoopy survives a flood and others. The cost of two bundled episodes is 99 cents or a $7.99 for a full season pass. Warner Home Video recently released “Peanuts Holiday Collection,” a 3 DVD set which includes â€œA Charlie Brown Thanksgivingâ€, â€œA Charlie Brown Christmasâ€ and â€œItâ€™s a Great Pumpkin, Charlie Brown.” Those who prefer not to buy the complete set can purchase each movie separately, although you’ll probably save money by buying the set. For those still on the fence on whether or not to purchase these, check out the following four videos and tell me you don’t want to run out and buy these for nostalgic reasons. We all remember the great times we had watching these as a child. Now’s your chance to relive those memories or pass them on to your children.